This photo is titled "Party All the Time at the Library". 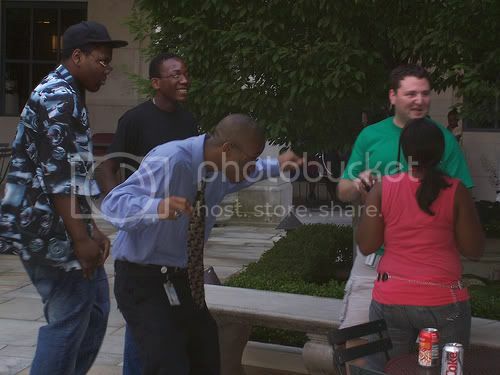 Which explains why there's the one nerd in the shirt and tie doing the Soulja Boy. But it doesn't really explain his face tattoo. What's intensely disturbing about this party photo is that the description reads "getting loose fast at judi's 35th b day. " This was a 35 YEAR OLD's birthday.